We are just over a month away from hearing what the Insane Clown Posse has in store for us with the 4th Joker’s Card of the 2nd Deck! Fearless Fred Fury will be unleashed nationwide on October 26th, just in time for Hallowicked! ICP just put out an image with a short message hyping Juggalos for the release. You can see a larger image and the message below. FITE BAAAAACK! The dawn of a new era is upon us. The time is nigh for Juggalo Soldiers to stand tall and ride! Fearless Fred Fury calls upon the forces of the Dark Carnival to stand up and FITE! Our time is NOW, Juggalo Family. FITE BAAAAACK! 665!!!! The worldwide carnage begins…October 26th. Do you have what it takes to survive and join the rampage? SIX! SIX! FIIIIIVE! 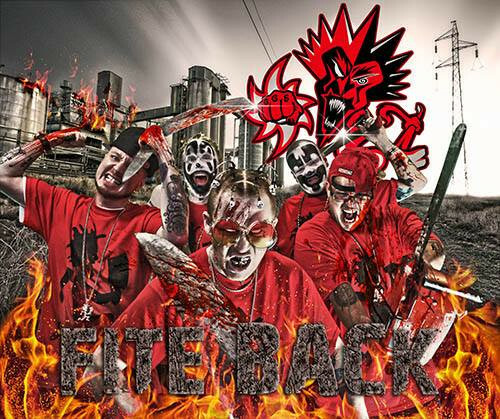 It’s probably worth noting that neither Anybody Killa or Big Hoodoo are in the pic, but this also doesn’t specify that it’s showing the full current roster at Psychopathic. Maybe it’s just everyone who is involved on FFF? Either way, it’s time to start gettin’ hype for this one!